[dropcap style=”font-size: 60px; color: #9b9b9b;”]T[/dropcap]he discovery confirms the common plant among the natural world’s best fliers. It shows that movement of air around and within its parachute-shaped bundle of bristles enables seeds to travel great distances – often a kilometre or more, kept afloat entirely by wind power. 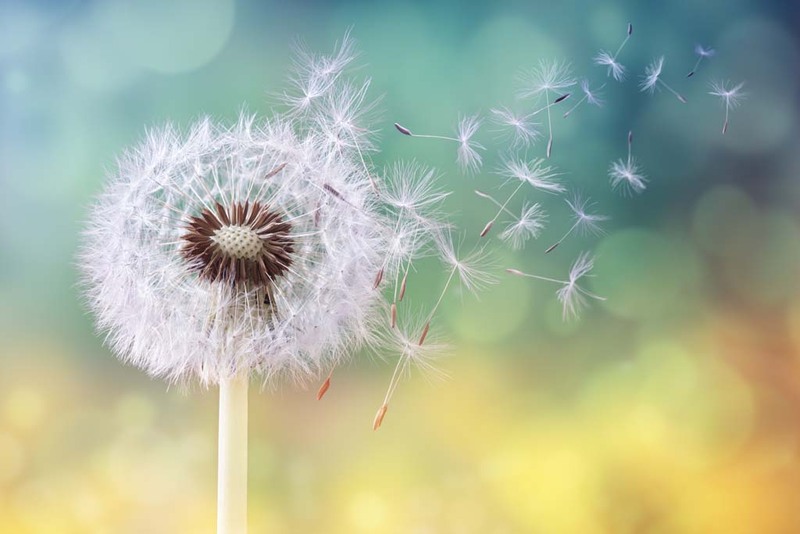 Researchers from the University carried out experiments to better understand why dandelion seeds fly so well, despite their parachute structure being largely made up of empty space. Their study revealed that a ring-shaped air bubble forms as air moves through the bristles, enhancing the drag that slows each seed’s descent to the ground. This newly found form of air bubble – which the scientists have named the separated vortex ring – is physically detached from the bristles and is stabilised by air flowing through it. This flight mechanism of the bristly parachute underpins the seeds’ steady flight. It is four times more efficient than what is possible with conventional parachute design, according to the research. Researchers suggest that the dandelion’s porous parachute might inspire the development of small-scale drones that require little or no power consumption. Such drones could be useful for remote sensing or air pollution monitoring.